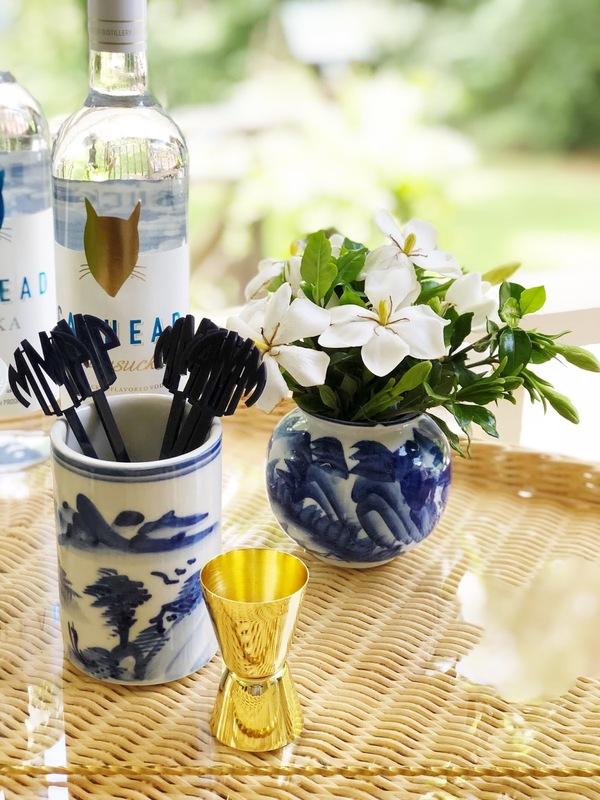 The series kicks off with the bar cart of the darling Sweet Tea Heather. Heather lives in Savannah with her husband and their precious pup Lucy. 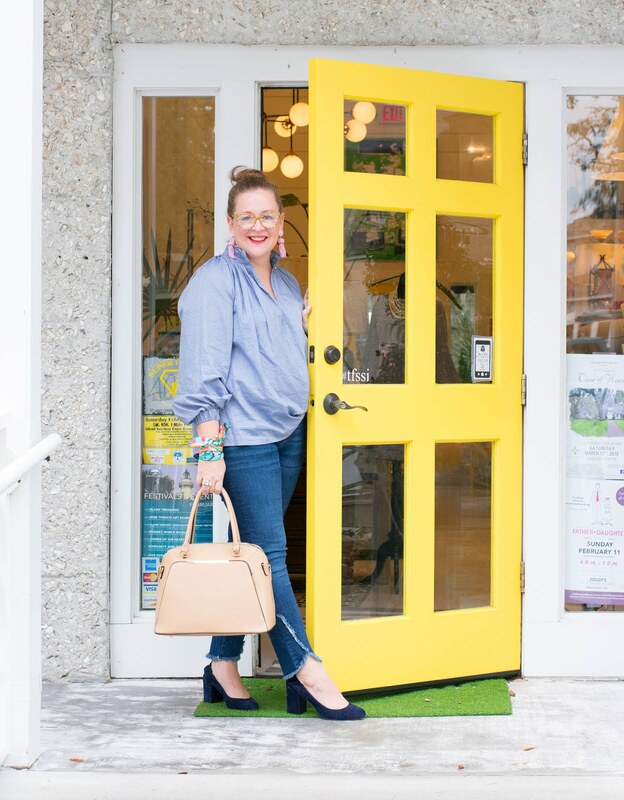 She is the author of the lifestyle blog Sweet Tea Jubilee where she shares her fashion finds, love for all things Lilly Pulitzer, adventures and daily inspiration. 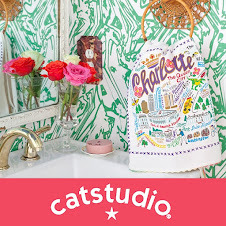 I am mad for her Wednesday Wishlist series. Her precious Instagram posts are a favorite of my daily addiction. 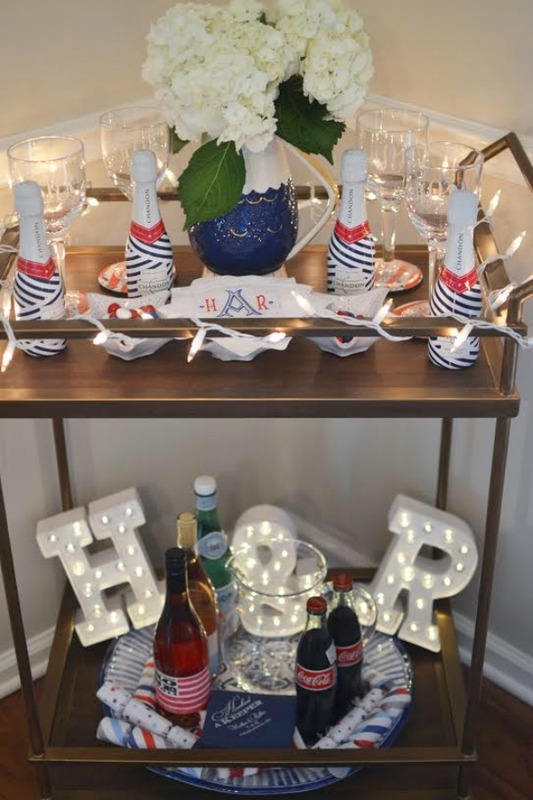 "Our bar cart is right off our kitchen and it's my favorite little spot to decorate for each season, you'll see that I like it to change it up a lot! 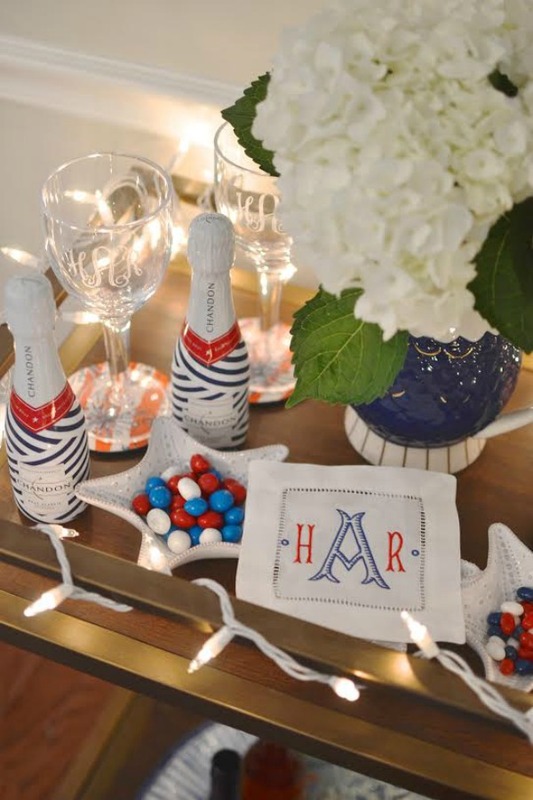 I'm a huge fan of blue and white so it was easy to incorporate a little red into the bar cart for a fun patriotic feel for the summer. 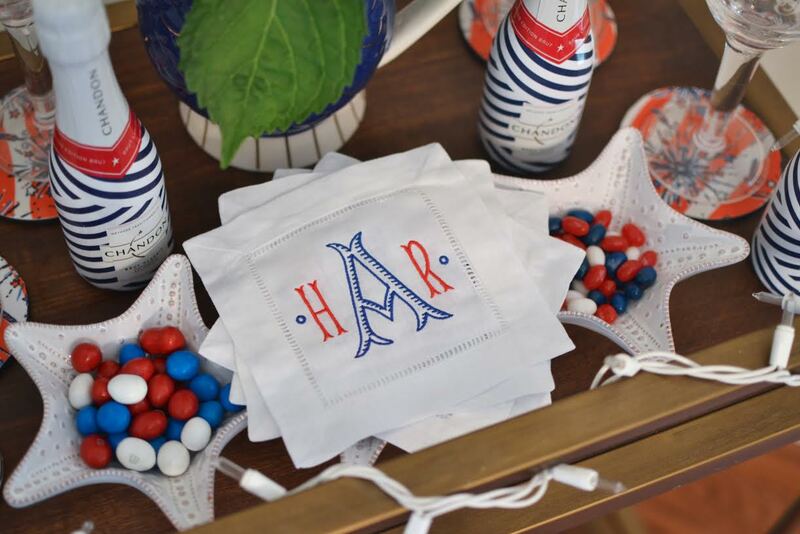 The 4th of July holds a special meaning for me because I actually got married on the 4th in Charleston last summer! 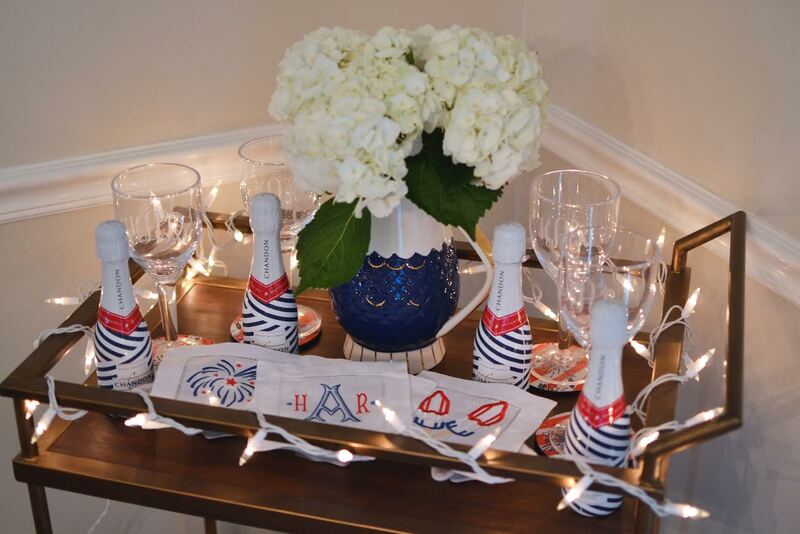 For the bar cart, I included some of the napkins we had made for the wedding and the little mini champagne bottles and Lilly coasters were from my bridal brunch the morning of the wedding. The "H & R" letters were actually used behind the bar during our reception. 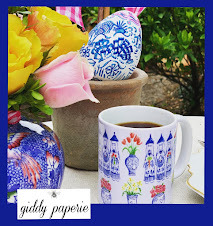 It's so fun to get to repurpose these items because it always reminds me of my favorite day!" Don't you love it even more now! 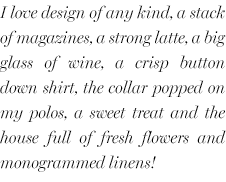 I am obsessed with every little detail and the incredible sentimental meaning. Heather indulged me in answering a few questions to share more about herself and the places she finds inspiration. First of all, tell me about you. How did the blog begin? I first started a Tumblr blog right after college because I loved having a creative outlet and constantly seeking inspiration. 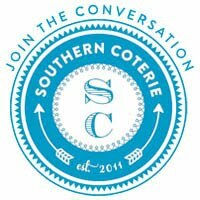 A couple years later, I decided to start a real blog for same reason! 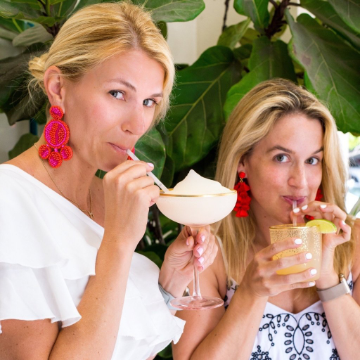 I love sharing all of my fashion finds, things that inspire me, and of course- styled bar carts! Any day spent by the water with a yummy drink in my hand. Bonus points if it's spent with my husband, family, best friends and puppy! I love my coffee in the mornings, but I also love hot tea in the wintertime. Peach Bellini- it was my signature cocktail at my wedding last summer! I love to look for inspiration in nature! Whether it's the cotton candy colors in a summer sunset or bright, bold, blooms, I think God's natural creations are some of the most amazing things! In the summer, I would probably be out on the boat with my husband and puppy, wearing my bathing suit, monogrammed PFG shirt, and Lilly shorts. A glass of wine, online shopping, and Netflix... The Office if I'm with my husband, Gilmore Girls if it's just me! 4. Tory Burch Miller Sandals- I wear my tan patent sandals almost every single day, they are easily my most comfortable shoes I own! 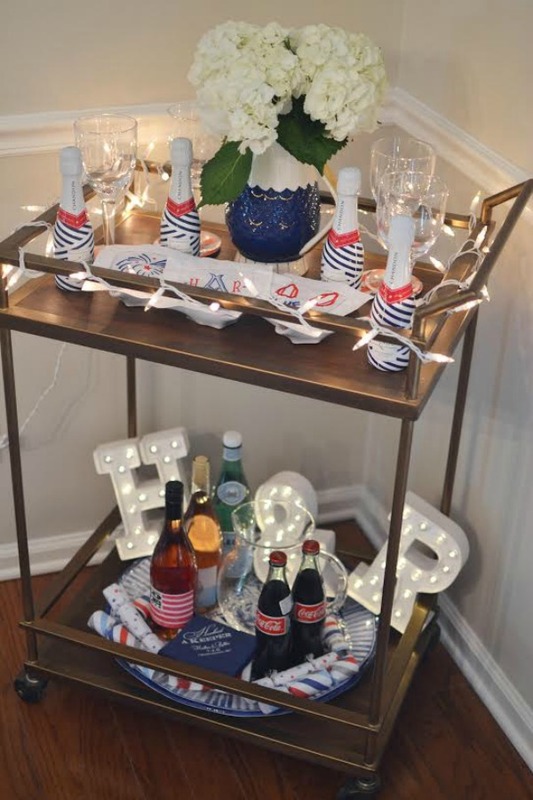 I simply love how Heather styled her bar cart. 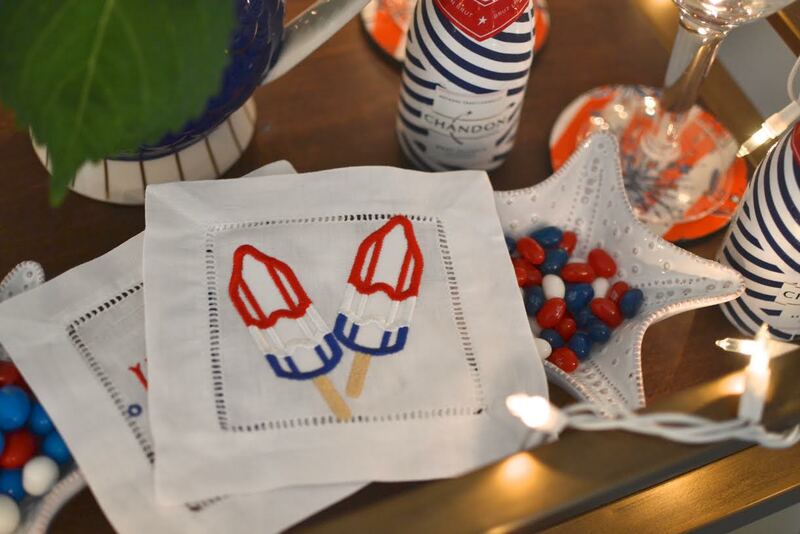 Those light up letters are darling and all of the red, white and blue is perfect for summer. 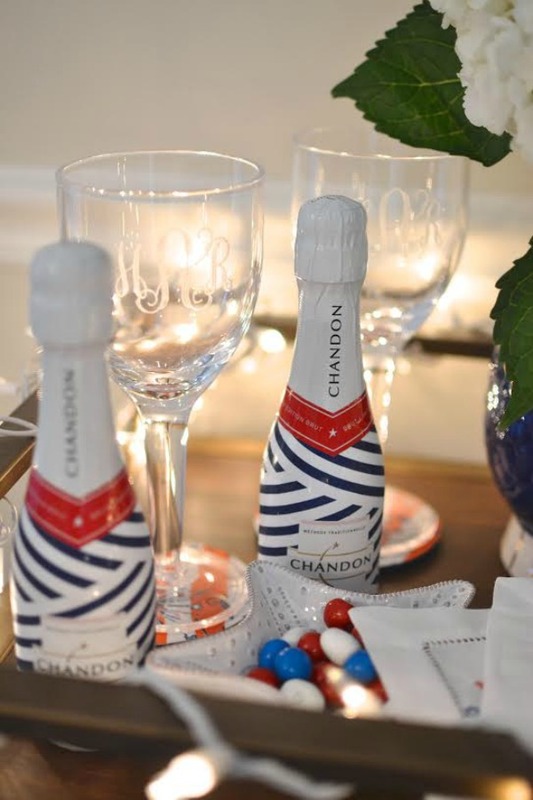 I have ordered a set of her darling monogrammed napkins for myself and I may or may not have hunted down the festive bottles of champs. Aren't they amazing? Wow ! very nice. I love it. Thanks for sharing.